If you're following me on Instagram, you might have noticed that a huge chunk of my posts are regularly dedicated to my reading list. Books I've read, currently reading, recently purchased, favorites — all those booknerd jazz. Like it's not obvious enough, yes, I joined the #bookstagram community, and the nerd in me has been having a ball. There's just so many creative readers all over the world who not only give out amazing book recommendations, but are sort of inspiring me to just keep on reading. 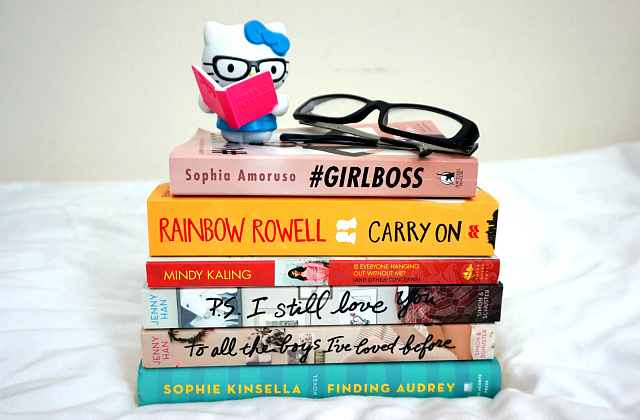 For the busy bookworms like me, here are five books (technically six since I count Jenny Han's books as one) that I've recently finished reading and enjoying, as we start welcoming the cooler season around these parts. Don't expect a bunch of literary masterpieces though. These are mostly light reads and some I even managed to devour just in one sitting. Enjoy! Sometimes it really bugs me that Dubai is always one of the late places to snag copies of my favorite authors' latest works. Same was the case for Sophie Kinsella's Finding Audrey. I was almost thisclose to ordering a copy online, but good thing I waited. Just a bit bummed that the one I got wasn't a paperback though. I realized just how much I've missed reading Sophie Kinsella after reading this book. Weird characters coupled with her charming humor and incredibly heartwarming plot, I gotta say this is one of the better Kinsella books there is. 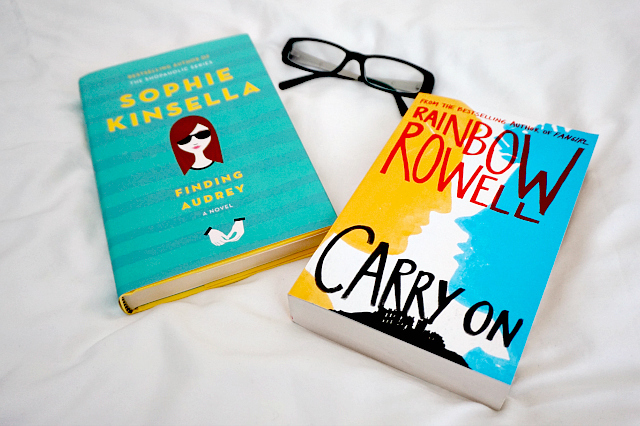 Carry On by Rainbow Rowell did not disappoint and I seriously couldn't put it down once I started reading. I'm fangirling so hard because of this book! I was giggling like a teenager with a crush and squealing like a piglet all throughout. I swear I can read this book over and over again. My heart is screaming loudly for a sequel! Everything about this book is cute and adorable. Nothing new about the story's characters and plot, but there's something about Rowell's style that just nails it every single time. I enjoyed it so much and I bet you would too. Oh Mindy, what did you do to me? To be quite honest, Is Everyone Hanging Out Without Me? 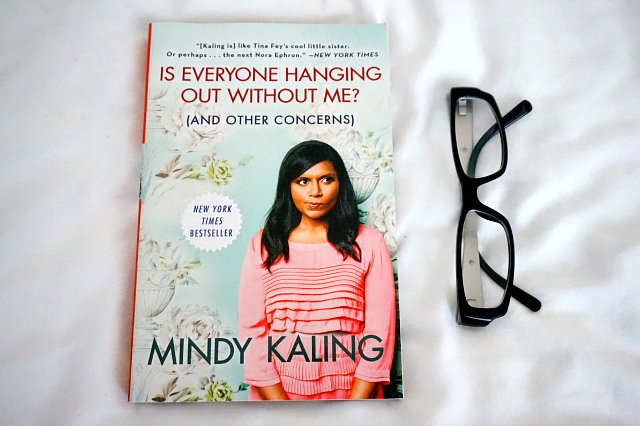 (And Other Concerns) by Mindy Kaling is all over the place, but it's hysterical enough to make it to this list. She's an awesome combo of smart and funny. Definitely the kind of friend you would love to hang out with. Not sure if this book would pass as an autobiography (they say it is), but the humor and wit of her life's observations, opinions, and anecdotes are just spot on. Absolutely adore her now. 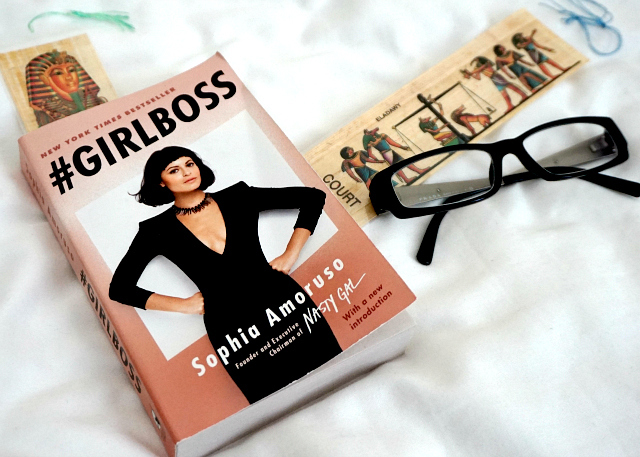 Sophia Amoruso's #Girlboss book is so in your face, I love it. Her writing style might seem a bit intimidating and Johnny Bravoish to others, but I really enjoyed her honest voice. How she's overcome challenges and her impressive success in business (being the founder of Nasty Gal) is something to be really admired. The book is inspiring, funny at times, and gives quite a handful of tips and tricks to unleash someone's potential in the world of business or just life in general. Pictured on top are two bookmarks I received as Egypt souvenirs from the living #girlboss I know, Ann. 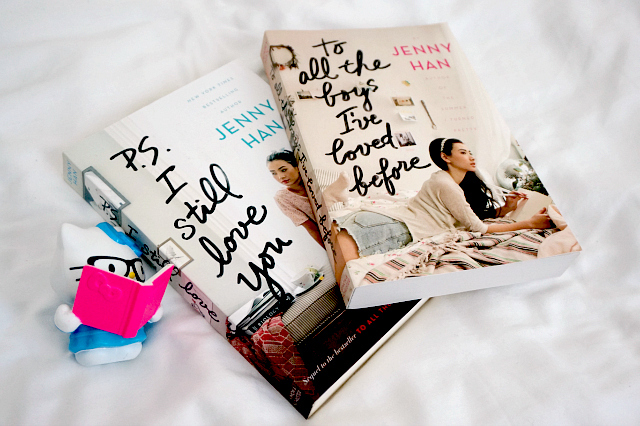 I picked up Jenny Han's P.S. I Still Love You because I couldn't get over its pretty cover. It's already way too late when I realized that it's a sequel, so I ended up reading the e-book of To All The Boys I've Loved Before sent to me by my friend Marbz. But of course I just had to get the paperback version last week when I saw it in Borders because its cover looks pretty too (I know, I have a problem). To be honest, there were so many points in the books that I wanted to strangle the main character's neck because of her stupidity, but I got to admit that I still enjoyed Han's two novels a lot. A whole lot. It's light, sweet, somewhat relatable, and will make you remember how nice it is to be young again. It's a Saturday night and I can't believe the weekend is almost over. I was out with the husband last night watching the band Blue perform here in Dubai and spent the entire day today arranging furniture, setting up the Christmas tree, and cooking. How did you spend yours?